we could produce that four post parking lift. it is ECO2136 in our company. if you need please contact me. Reviving an old thread here, but seemed the most appropriate place for it. I am not affiliated with this company in any way, nor have I ever done business with them. I got on their email list when I was looking for lifts a couple months ago. I ended up buying an Atlas Mid-Rise Lift from Greg Smith Equipment (link to lift). I have really enjoyed this lift so far and it is perfect for my situation. 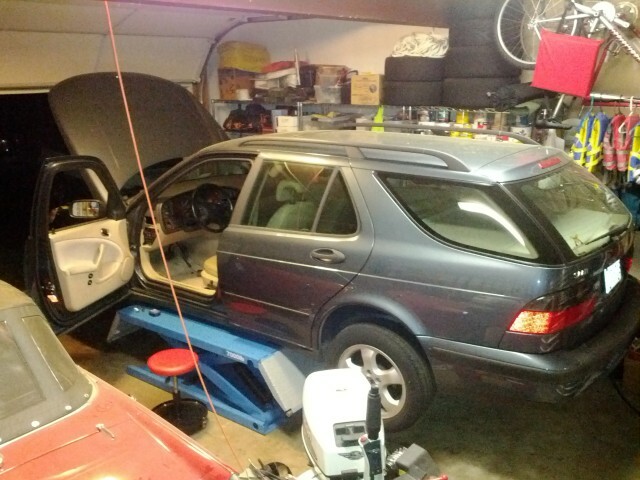 I do a lot of work on a variety of cars and this lift provides me the most flexibility and least amount of obstructions around the car (it is completely open between the lifting plates allowing for tansmission, drivetrain and exhaust work). 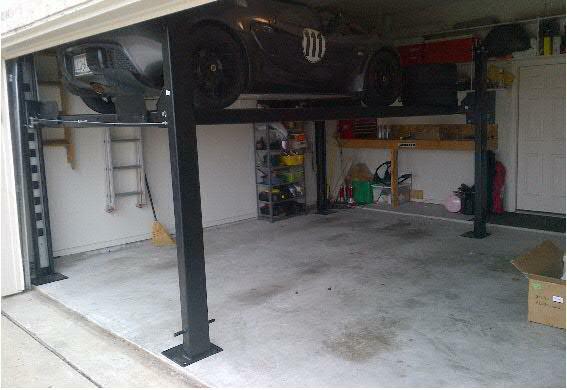 I only have a two car (single 16' door) garage, so both the traditional two post and four post lifts took up too much room for me. The MaxJax was my second choice, but decided the Atlas lift would work better for me. Anyway... thought the AAE sale might be of interest to someone on here. EDIT: Read earlier posts in this thread about problems one member had dealing with American Automotive Equipment! Last edited by Baysailor; 03-25-2012 at 08:40 PM. I ended up buying an Atlas Mid-Rise Lift from Greg Smith Equipment (link to lift). I have really enjoyed this lift so far and it is perfect for my situation. Yep... give me a couple days. My garage is torn apart right now from installing cabinets, workbench, new garage door, etc. I will get things to the point where I can get some good pictures. Of course to change oil and do other things in the lower part of the engine bay, you have to remove the engine panel before lifting. 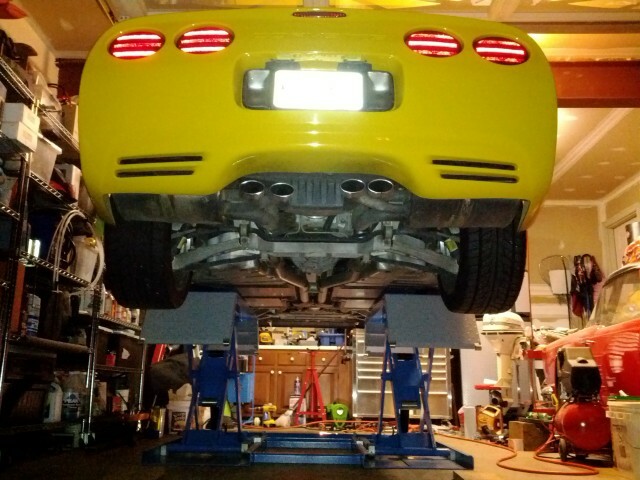 But for doing wheel, suspension, brake work, exhaust and the like, you would not need to remove the engine panel if you had pucks or something similar installed. You could also install a removable access panel in the engine panel for oil changes. Last edited by Baysailor; 04-20-2012 at 09:21 PM. 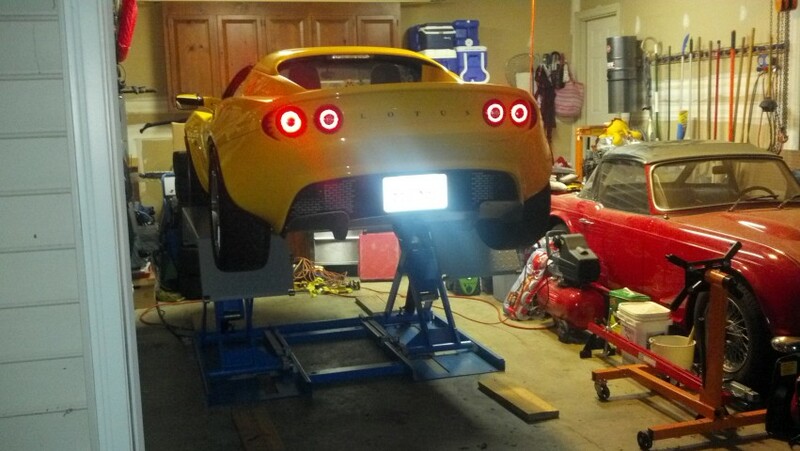 Evora + Backyard Buddy Std. 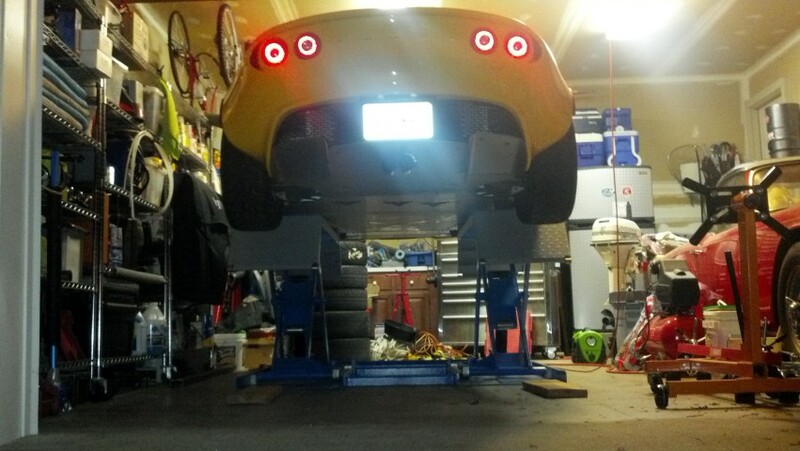 Lift + Exige fits (tight) in 104 inch ceiling. Wow, that is a little too tight of a fit for me! Congrats on getting them in there though. BTW, how do like the Backyard Buddy lift? Is there anything about it that doesn't work well or is poorly designed? It is one of the lifts I have been considering buying, but I am having a hard time weeding through all the hype on the various lift manufacturer's sites. That just fits, I have 9' 1/2 height for my rack. 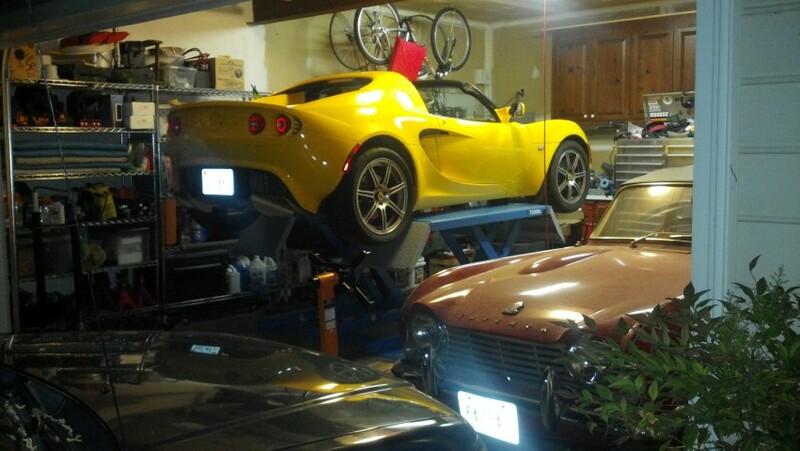 It works best when my Elise is on top. But it does work with it on the bottom as well. Mine is an American custom lift out of California. It was around $4000 installed. 7000 Lbs capacity. Last edited by Ron Avery; 03-31-2012 at 03:44 PM. Long Story: I researched 4 post lifts for several months primarily for storage but also for occasional service. In the home lift market the american made Backyard Buddy 7,000 lb lift in my opinion offers much better stability / strength but at typically 2 to 2 1/2 times the cost of the Chinese manufactured lifts when new. Some of the Chinese lifts are very well designed / copies and may suit most home needs. I could not justify buying a new Backyard Buddy ($4,500+shipping) and had planned on buying an Atlas Pro 8,000 lb lift ($1,800 plus shipping) but spent some time trying out various lifts at stores (Greg Smith Equip), shops and local folks having lifts for residential use. 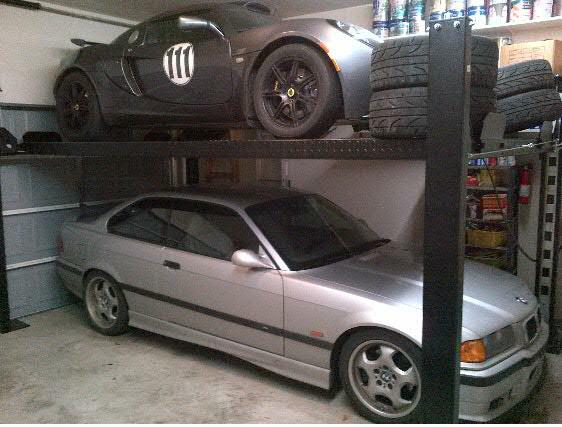 Finally I started looking at Craigslist / car club forums and typically found good condition like new even Backyard Buddy lifts typically from $1,800 to $3,000+ and as high as $4,000 depending on accessories, about the same cost of new Chinese lifts tax, shipping and associated accessories. 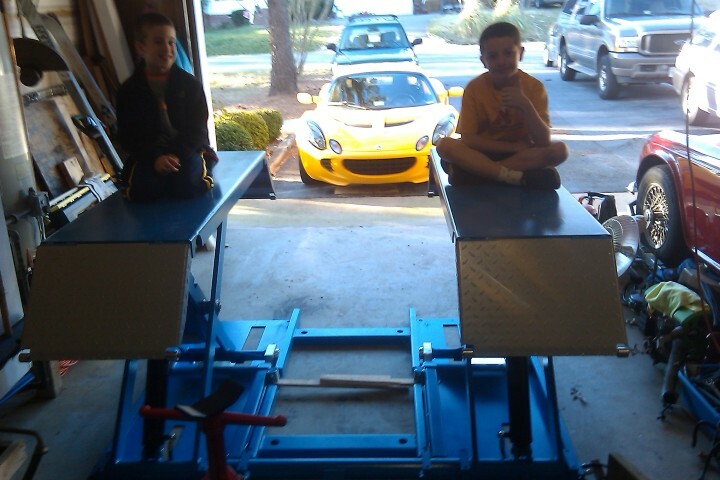 I paid $2,000 for a 6 year old Backyard Buddy std 7,000 lb lift. in very good condition on Craigslist, picked it up, dissasembled / reassembled it myself. W/o the proper lift / truck / trailer to haul it, that may cost $500 to $600 alone. Backyard Buddys do appear on Craigslist but sell very quickly usually < a week. It took me 2 months to find one at my price / condition and within reasonable distance for pickup. I'd recommend thoroughly trying each lift w/ your own cars etc. before buying one. If buying an used one, research the specific model / when manufacturered as most lifts including Backyard Buddy have been improved (safety locks, powder coating etc.) dramatically over the years. 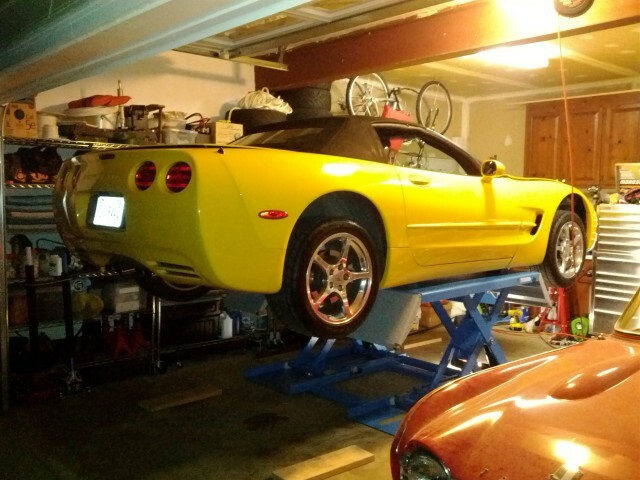 You do not want many of the older models, A number of the lifts have had design / manufacturing problems that are covered on many of the websites, Garage Journal, Corvette, Viper forums etc. 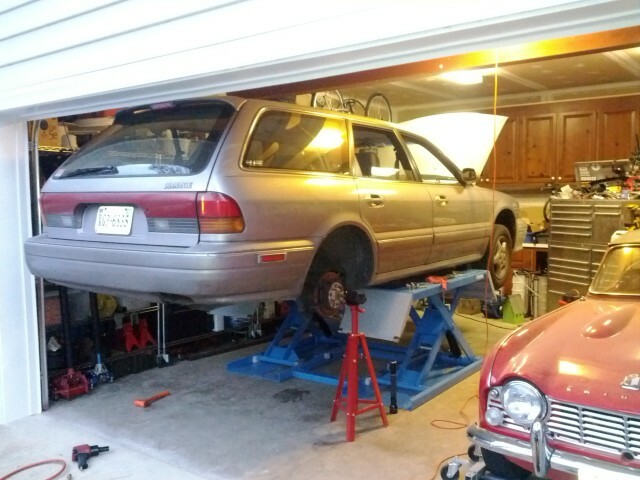 I applogize, I haven't been able to resize the photo or move the post to Garage Lifts. Thanks for the info. I will probably buy new mainly due to the hassle of trying to find one locally and then transporting it. Most of the lifts that I have decided are worth checking out are in the $3500 price range so an extra $1k isn't that big of a deal in the long run if the Backyard Buddy is built that much better. So the big question: Is the Backyard Buddy really worth the extra $? When the LOONYs researched this back in the early 2000s, we thought the Eagle Lifts were the best. I thought the backyard buddy was cheap looking compared to theirs (at the time). I dont know now. I bought one of the first advertised in Road and Track. 1991. It was called Parking Solutions. Dont know what happened to them, they sort of just disappeared. Mine only locks in one place. Very Very heavy duty and obviously over engineered for weight. But missing some of the stuff you see even on the cheapest lifts today. 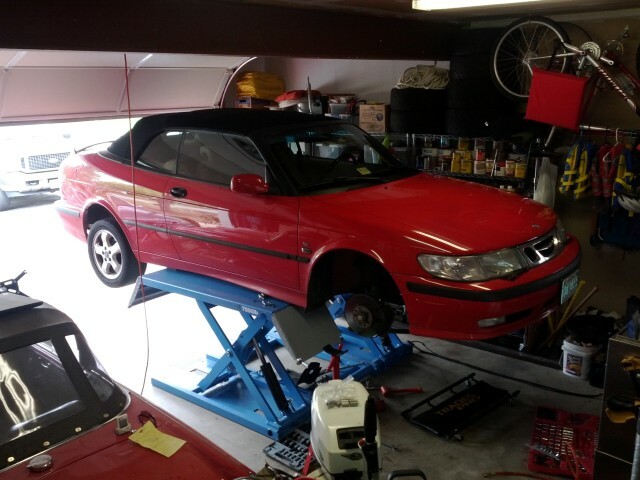 I currently have a 2 post Eagle lift that I bought back in the late 90s so I am familiar with their products and my lift has never needed any service so I agree they make (or made?) a good product. There are just so many more vendors of lifts these days and with the huge influx of Chinese manufactured lifts (many of which have questionable build quality) on the market it is very hard to figure out which ones are good. Unfortunately this seems especially true when it comes to the 4 post lifts out there so if anyone has recently bought a new 4 post lift I would love to hear your opinion on it. Tesprit: Find someone local with a recent model 7,000lb Backyard Buddy and try it out. The latest model 7,000 lift has the secondary locking dogs (not even shown on many of the manufacturers website photos) and is a very high quality powder coated finish. You will not find the same heavy duty design / construction / finish in the Chinese manufactured lifts till you get to the 9,000 and even 12,000 lb lifts. In hindsite I would have been very dissapointed had I bought one of the low cost 8,000 lb Chinese "storage" lifts. Sorry... I completely forgot about your request for pictures. My garage is still a mess at the moment, but I ran out a couple minutes ago and took a few pictures with my phone. 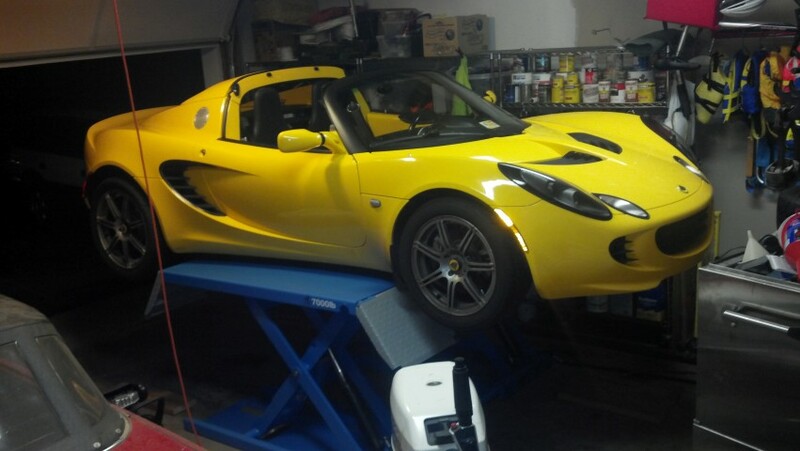 Not well lit, but at least gives you an idea of how it works with my Lotus. 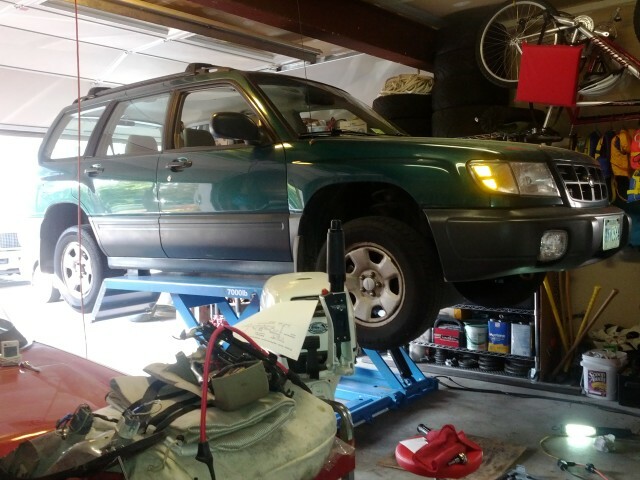 Also had one picture from a while ago just showing the lift.